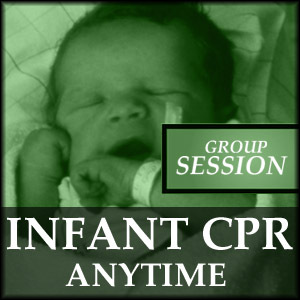 The person taking this course usually requires only the very basics of CPR and only for the adult casualty. 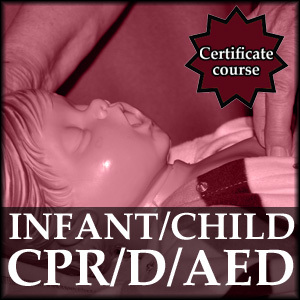 If you require CPR certification for health-care or emergency services occupations then we recommend the CPR-C program. 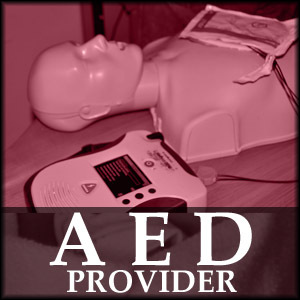 This course teaches the basics of adult CPR and the use of an AED. Sudden cardiac arrest can happen to anyone. 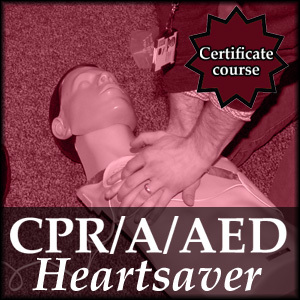 Through effective training, with the Heartsaver® CPR AED course, gain the confidence and skills to respond to this life-threatening emergency. 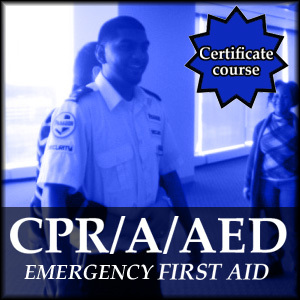 The course covers how to recognize cardiac arrest, how to perform high-quality CPR and use an AED, how to perform mouth-to-mouth breaths or give breaths with a mask, as well as how to perform CPR with the help of others, and when and how to help a choking adult.